Family photos on the beach. From San Francisco to Watsonville. – if done properly beach sessions can be amazing! You can turn all the objectives listed above into something positive that works for you. Not against you. Wind is not always bad. It can make the images more artsy and romantic. Wind also means NICE WAVES! The right angle and a little bit of Photoshop and the crowds on the beach are the last problem you should be worrying about. Leave it to the pro! Beach is sunny and sandy. Those things shouldn’t stop you from having the most fun session possible. Normally sessions on the beach are done around sunset. However, I’ve done sessions at 8am with the fog as a background. and at 11am with the sun raising higher and higher with every passing minute. That’s why you do the session while the weather is PERFECT for it. It means summer and early Fall. However, you can always bring sweaters, blankets and be ready to cuddle! However, if it comes to working with me, be prepare to have a little work out during the session. That will definitely keep you nice and warm. If you’ve had beach session with the right photographer, you know what I’m talking about it. If you haven’t had the chance to experience fun family photos on the beach with a pro photographer, I can assure you, YOU ARE MISSING OUT on a wonderful experience that can result in magical memories. Period. I’m always excited when I get a family interested in a beach session. Because I don’t really have a portfolio that would include only beach sessions, and I’m often asked about it, I decided to write this post and include images from some of my past family sessions done on the beaches from San Francisco to Watsonville. And each year I’m broadening the portfolio into more and more beaches and I’m always open to any suggestion of great locations. So if you have any, I’m all ears. If you’re interested in family photos on the beach, look no further. If you’d like me to photograph your #magicalmemories on the beach let me know!!! Basic yoga stretching to wake you up! First note before you go any further: the basic yoga stretching short video below is not a tutorial. I do not teach yoga. I’m mostly self-taughed. I’ve been practicing yoga as my main exercising routine since I was in my early 20ties. I have learned most of what I know and can do from books, and basic yoga classes. This stretching routine has been a base for my daily exercising for years. Sometimes I add more poses to it, or stay in the positions for longer to build strength. Sometimes I just want a quick stretch to wake up and be ready to tackle what the day has ready for me. Yoga has been a huge part of my life. And I’m not sure why I didn’t mention yoga in my previous post. But because I didn’t, now is the perfect time to make up for it. I know I’m not perfect in it. It doesn’t matter, though. The beauty in yoga is that it grows with you, and it adjusts to your level of flexibility and strengths. First of all, I think (and it’s really only my opinion), yoga had saved my life. (bicycle accident with many, many cracked vertebrae). I also do this basic yoga stretch when my back is feeling sore from hours of sitting in front of the computer. As much as I love editing pictures, my back really dislikes it. Especially while having some issues from the past. This basic yoga stretching routine is easy to adjust to your own skills and the level of your flexibility. Believe me when I tell you that years and years ago I was not able to stretch to the level I can today. It takes time and practice. Most people have something they are very passionate about. Something they keep doing even when the kids come along, and this particular activity gets pretty challenging. Something they continue doing when the kids grow up and leave the house. Something they want to continue doing as long as they are able to. Something they wish to teach their kids to enjoy as much as they do. I have photography, crocheting, music AND hiking. I EDIT PICTURES when I’m feeling blue. It works like a prozac. Like a happy pill. I CROCHET to get to a magic world of meditation. Sometimes it feels if I crocheted fast enough I would turn Vic McQueen. I listen to MUSIC when there’s a particular kind of buzz in my head. I connect with my kids through music. We sing. We dance like nobody is watching. Once my husband said, it is hard to talk while you HIKE. And my respond was: EXACTLY! That’s why I love hikes. I took my kids hiking before they could pronounce the word “hike”. We started from such places as Almaden Quicksilver County Park and Stevens Creek County Park (more great locations in the free pdf provided at the end of the post). The hikes were not hard. Slow walks half a mile one way and half a mile back. Most of the time with many breaks for snacks and TONS, and TONS of pictures. Because in reality I was just location scouting for my sessions. So, first of all, the hike, stunning and beautiful, is not hard. If you’re afraid of sweating, well, that’s a different story. Haha. We take it easy. However I know my kids’ strengths. I know how much I can push them before it’s just too much. Hiking with kids is tricky but it shouldn’t stop anybody from trying. Kids are curious. Kids are strong. Kids will follow you if you lead them the right way. Make if fun and adventurous. Slice the entire hike into smaller chunks / destinations. IT CAN’T BE BORING for them. It CAN’T BE TOO HARD. Especially in the beginning. For example, during our first hike in Pinnacles we learned that after the Bear Gulch Cave (our destination) there is a Bear Gulch Reservoir. We didn’t go there on our first trip. Knowing how great my girls did on the first hike, I decided to push them a little more and take them to the Reservoir during our second hike. And I wasn’t mistaken assuming they will LOVE IT! They did! They couldn’t wait for our next hike, which we did, of course. During this hike we did close to 6 miles and there were moments where they were loosing the joy of it. Every turn we made they would ask if we’re “almost there“. And we were almost there, of course, for the entire last 2 miles. Haha! How is your Summer break going? If you’d like me to photograph some of your #summerbreakadventures let me know!!! I’m here to help you create amazing memories. Even Better lets explore Pinnacles National Park together! Best way to stay cool in the Summer. 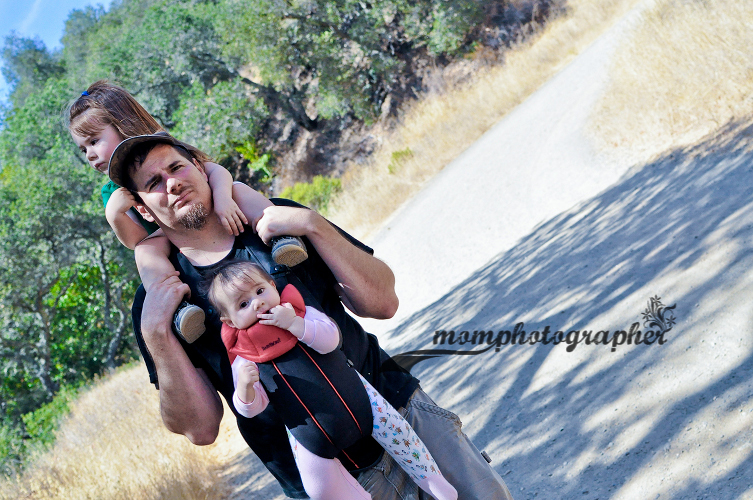 Morgan Hill Kids & Family Photographer. Going for hikes it’s not the best way to stay cool in the Summer. Especially not in the 103 F temperatures around here. It is fun, though. And very rewarding. But nothing, even the best hike, won’t beat the water. And we recently have discovered something my kids love even better then regular swimming pool. WATER SPLASH in Downtown Morgan Hill. How cool is that. For four hours a day they run super fun sprinklers, and kids can run around, chase them, play with them, lay on them, and whatever else they imaginative brains can think of. Of course, everything while under supervision of adults. I’m writing this post as I’m sitting and watching my kids run wild around the water splash. The pictures and the movie in this post are from our yesterday’s adventures here. Today, the weather is cooler and it’s overcast, but that doesn’t bother any of my kids, or the other kids here. I have to tell you that this Summer, as a family, we did a lot of “1st time”s together. Like our road trip to Colorado. 1st time swimming in the deep end of the pool with no vests on. Cooking the whole meal without adult’s help. Visiting Pinnacles National Park. The list can go on, and on, but for right now, I’ll focus on the trip to Pinnacles. Seriously, I had no idea this place is so close, and SO BEAUTIFUL. With each trip we’ve been discovering more and more of its beauty. And we will be back during different seasons, that’s for sure. This time of the year the park gets HOT. Our hikes are early in the morning or close to sunset. So far we’ve been there 3 times. (and getting close to 4). All visits within one week. The first time we went up there was 9pm to watch starts and planets through telescopes set up for their Star Party. We came back the next day for a hike. The hike took us to the Bear Gulch Cave, and the kids loved it. Pictures below shows a little of the whole story. On that day, the girls returned their Junior Ranger workbooks and received their Junior Ranger Badges. During the entire hike they mostly talked about getting the badges, and they were excited for doing many of the activities included in the workbook. They finished some of the activities on the trail, as well as later, after we sat to have a picnic. And after all I got to drink an iced coffee served in a beer glass. Because why not. Second time we visited Pinnacles National Park was 2 days ago. I’ll be writing about that adventure in another post. It was just me and the girls and late afternoon sun heading to a sunset. Such an amazing hike. We made it past the Bear Gulch Cave and went higher to the Reservoir and to then back. I have to admit it was a hell of a hike but we all made it just fine. Ready for a hike number 3! Also, I have the feeling that this is not (and never has been) the “bummer summer” our soon-to-be 2nd grader imagined. I don’t want my shoes to get dirty! I just couldn’t believe it. My daughter doesn’t want to get dirty!?!? As girly as my girls are, they are also pretty okey with getting quite dirty. So, how many days till the Mud Run?!? While feeling like I’m going to cough my lungs out for the last couple of days, I was pretty happy to hear my girls excitement. Because I wasn’t having it. And of course the girl who was so upset about getting all dirty… Didn’t get dirty. She found her away around it, and simply didn’t crawl in the mud, and took her jump pretty easy as well. The older one went for the whole experience. Me on the other hand, as soon as we got to the muddy parts, I took the camera from my husband’s hands and found myself an excuse for not getting dirty nor wet. Ha! In my imagination I saw it as a very small event, with just a few kids running a small course. And she was really surprised to see the crowds, and even more excited to be a part of it. This is definitely something we are going to do again! Both kids agreed, myself included (hopefully feeling a little better next year, though). If you’d like me to photograph some of your #summerbreakadventures let me know!!! I’m here to help you create amazing memories. Even better, sign up for the membership to Ewa Samples Photography so you won’t have to miss on any photo opportunities through the entire year! Being a photographer in Silicon Valley allows me to work in such great locations as Googleplex – Mountain View. Having so many clients who work in Google allows me to get where public can’t (most of the time). HA! Recently, one of my clients, who’s been with me for many, many years announced her family is moving to Colorado. She had some credit left on her Annual Membership so we came up with two amazing sessions for her family. One was her 10th wedding anniversary (which will be blogged shortly), and the last one was family session at Googleplex in Mountain View. When I arrived to the address they gave me, I saw them all standing in Google colors t-shirts and I immediately knew this is going to be epic. Well, it always was with Jen’s family, so I wasn’t surprised. Because no session is perfect without a silly faces picture. It’s sad to see a family I’ve worked with for years go. From newborn and cake smash session to many fun family sessions and hosted together events I documented this family grow stronger and more beautiful with each year. I hope to be able to get together sometime and create wonderful memories for this family in the beautiful scenery of Colorado. We just got back from a road trip to Grand Junction (where I shoot a wedding), and all I can say is, I WANT TO GO BACK THERE! And if you’d like to get an amazing customer service and amazing nails for your next photo session shoot a message to Jen and she’ll definitely take care of you!!! If you’d like me to photograph your fun family adventures let me know!!! I’m here to help you create amazing memories. It’s fun to be bored, said no kid ever. However, I think after this summer break my 7 year old daughter is going to change her point of view on the matter of “being bored”. I’m on the mission to change it. I remember days of my summer breaks. They were everything but boring. I did not watch TV much (no cable, no much of cartoon choices back then, no electronic gadgets to play with/on). I read quite a bit, I’ve always been a book worm. What’s most important, I’d never had “special” activities planned for me or my siblings by my parents. Still, I have amazing memories of discovering the world on my own. With a friend or two. With my cousins or without them. Getting up early to watch my aunt milk the cows. Going to the forest to pick fresh blueberries and then sell them on local farmers market. Make blueberry stuffed pierogi with what was left. Exploring the world after dark with my friend. That was the most powerful “quality time” my parents could had given me. Being honest, I don’t really like comparing my summer breaks to my kids’ summer break. Or my times to “their times”. Times have changed, (they change with each new generation), and what was 20 years ago is no longer anything but memories. But as much as I’m aware of that, I’m also not ready to let go of the thought that it’s FUN TO BE BORED. It’s also good for you. Especially for the kids. I have recently read several great blog posts about the importance of being bored. Here is one and here another. There are more. Many more. Just google “the importance of being bored” and you’ll find yourself a great number of articles to read. My 7 year old daughter was pretty upset about the school year coming to an end. She anticipated end of the year means staying home and being bored THE ENTIRE TIME. She wasn’t thrilled that she will not be seeing her friends anymore. Like staying home with mom is one of the most boring things on Earth. Then again, since the summer started I really haven’t heard much of complaints about being bored. I’m loving every single trip we have, and I can’t be more happier to have the opportunity to spend so much time with my kids. They might think I’m boring and not fun to be around, but being honest with you, I don’t think that’s the problem, AND I’m having a blast, myself. So, who cares! Right!? On the other hand, she is having so much fun, she can’t keep up with documenting all those fun days in her journal. Two days ago I witnessed my younger daughter teaching herself how to swim. I heard her yelling across the swimming pool: I’M SWIMMING!!! I’M SWIMMING!!! I looked up, and there she is, kicking and punching the water like her life depends on it… (because it did). Then, she moved, and moved a little more, and then even more, and just like that she was swimming. The other day, my older daughter had an amazing time climbing a tree. Simple thing. And yet. She’s been on that tree many time, but not as far as she climbed on that day. I was so proud of her, and the whole experience was just precious. I made this sweet movie of her adventure. When I turned my camera on to make the video, I had no idea the whole thing is going to be so funny. The whole adventure was the fruit of a simple picnic we decided to have in the local park. Few friends. Some food and drinks and we were all set. The mission to change my daughter’s opinion about being bored is almost completed. Just yesterday she mentioned something about the summer being super fun and her not being very upset about being bored anymore. We are not quite yet there, but I’ve got another month or so to work on it. Right?! Even better, sign up for the memberships to Ewa Samples Photography so you won’t have to miss on any photo opportunities through the entire year! Today, a little not portrait related post. I’d say, it’s going to be more delicious then normal. I’m going to share with you my favorire homemade garlic bread recipe! How have you been? I hope not as busy as me. However busy is good, in some ways. Busy in business is good, right? Busy vacationing is also good, I think. How about busy in the kitchen, while being busy with kids, while being also busy with some four leg companions, and then being busy having to keep it all together (because there is nobody out there to help you). I have this suspicion you know what I’m talking about. Those are the days, or weeks when you look like this, every time you try to go for a walk. (this is a photo from my self-portrait project taken 4 years ago). I was the brave one, always trying to do as much as I could at once!!! Not always succeeding, like with the walks. They would always end before they even started. Luckily, my kids don’t need any leashes these days. But my dogs still do. All 3 of them. So, this past week, my husband was gone. The whole week. He’s been gone quite a bit this year. So, while running a business, and trying to still cook homemade dinners (well, some kind of meal whenever I find the time for it), while experimenting with different approaches to eating is challenging. For example, I tried the zero sugar diet. And the time-restricted eating. Thanks to a good frined, I also brew my own Kombucha! I think, this whole “sugar thing” is some kind of joke. I’ll share my experience with you in the future, however, I’d like to hear your thoughts on that if you have something to say! The time restricting eating is so funny. At least in my case, and I can’t wait to tell you all about it, too. Anywho…, going back to my husband being gone, I’ve mastered some simple recipes that all of us like. I have to admit, we often have banana pancakes for dinner, or store bought cinnamon rolls. The majority of the time we have homemade and super quick to make, so-called by my kids, “milk soup”. It’s an oatmeal, really. With a lot of cinnamon and turbinado-coconut sugar mix. This past week, my kids were gone playing almost the whole day. Coming back for a snack or two. Bringing with them a bunch of friends. And when you have to feed a bunch, you go for the easy fix. In my case, store bought cinnamon rolls. I go with these guys, becayse they do not have any corn syrup or high fructose corn syrup in them. Just good old sugar! (well, not really, but still better then most of what you can find in the stores). But today, I’d like to give you homemade garlic bread recipe! And why do you call garlic bread a “garlic bread”? – because it’s a bread and it has garlic in it. The dog picture is not there by accident. The pup was seriously too cute not to throw it in the post! Loaf of french bread (we love the freshly baked bread from Safeway). You can use sourdough instead. When husband is not home I use sourdough for this recipe, because it’s my favorite! Stick of butter. Not salted. ROOM TEMPERATURE, so it’s soft and easy to spread. Slice the loaf of bread leaving the bottom of the bread intact, so the slices are still attached to each other. Spread the butter inside the slices. Sprinkle inside of the slices with garlic powder, onion, and salt. ( I like a lot of garlic powder and a lot of the minced onions. I eat it simple. Bread, mozzarela, pickles, wine. The wine is optional in my case, as with age my tolerance to alcohol is getting lower and lower. With this speed, I’m assuming by age of 40 I’ll be totally allergic to even the smell of it. The kids eat it plain! This recipe gets pretty messy with the butter. However it’s really quick. And seriously delicious! One more thing, this bread is WAY MORE delicious than the store bought garlic bread (pre-made and ready to heat-up). I’ve tried it and the store version doesn’t get even close to the homemade one. It’s a little more work then just throw it in the over, but the love you’ll get from your kids for it will speak for itself. What’s your favorite recipe for a quick and easy dinner? On that weekend I was doing sessions with this beautiful flower decorated swing. As we were packing to go home, I heard the rumble of a huge group of motorcycles approaching. Few minutes later the picnic area filled up with leather jackets and lively conversation. When the ladies from the group saw the swing hanging from the tree they were amazed by it. Each of them, one by one, jumped on it. As you could see we even got one husband in the frame. As we were leaving we talked briefly about this project, and I explained why I do it. When I mentioned I do it to become more comfortable with talking to people, one of them said: “talking is the easy part”. I think, what she said will stay with me for a long time. Because talking to people is not easy. Not for me. The flower swing will be there, with a green, lush grass for your kids to roll on, and trees to climb on. If you have an interesting story to tell with your life, let me know. Maybe we can create wonderful memories with the story shining through, for you and your family. I’m two weeks behind with posting about my 52 Stranger Challenge. So, I’m getting back to work and catching up. My super awesome stranger from week 12th was Beate. She has delivered to us our two new family members: Jitterbug and Muffy. My husband met them both two weeks prior to their arrival back in Virginia. And yes, Beate from B’s Pet Delivery drove our four leg buddies from Virginia. Not to mention other places she was heading too, or going from. She was on schedule an eager to hit the road as her fella pets on the back were not as patient as she was. However, she stayed long enough to have a friendly chat with us about her business. Of course, I had to ask her if she was ever hurt by any of the animal she transports, and of course, her answer was yes. She was totally surprised when I asked her to model for me, and despite the fact that she was tired after days and days of driving across the country, she did awesome. She told us, she works 3 weeks (3 weeks on the road driving), and then she takes 3 weeks off. She has visited almost all the states in America. She doesn’t have much time to “visit” the places she stops at, but it didn’t seem to bother her. She just loves what she does the way she does it 😀 What I totally get! So, thank you so much Beate for safely delivering our new family members. They have already adjusted to us quite a bit, and we already see their cute personalities shining through. Today I’d like to talk about something very important when it comes to planning your session. I feel like often people think the best season for family pictures is Fall. In this post I’ll show you how particular locations change with seasons. How to plan your photo session based on the knowledge about the seasonal changes in nature (photo locations) in our area. In California, the Spring starts early. When most of the country experiences their first blooms, our blooming trees are already in the next phase. Most of the country has longer lasting green grass. We start to loose it around May. Our grass turns brown pretty early. When it comes to Fall, it also doesn’t last long. The rain starts, and it’s hard to plan anything if you’re not willing to have fun in the rain, or your kids are too small for getting a little wet. So, what is the best season for family pictures? The same location. The same spot. A tad different angle. In my opinion it’s Spring, which means right now. We are actually getting close to the blooming season. So, if you’d like session in beautiful orchards you better contact your favorite photographer and ask him/her to squeeze you for a session within the next 3 weeks. Often, people don’t want to do their sessions in Spring because they think it’s too early in the year, and they want to wait. However, later in the year, it’s hard to find lush green hills and fields. The only green places are public parks, surrounded by suburban homes, and play structures, and crowded with people. With all that it’s hard to get beautiful images with nothing distracting in the background, without a heavy photoshop work (which in my case, and the case of other photographers costs extra). As a professional I do know locations that have blooms all year long, or green grass for that matter. There isn’t many of those and they are most likely filled with other families and their photographers, which is not always the most relaxing and pleasant experience. 2. The weather is gorgeous in Spring. In Spring the sunset is around 7 pm (before the daylight savings time it’s 6 pm and earlier), so if you have small kids who have an early “nigh nigh” schedule, the current season is the way to go. It’s getting warm enough for lighter clothes. Still, not overwhelming hot for kids and parents, or grandparents. 3. Your favorite photographer is not crazy busy in Spring. You might not know, but most photographers (as well as other business owners), call the time after Christmas a dry season. People are recovering from all the Christmas expenses. Whatever the reason, choosing a session in February, March or April means you will have more dates to choose from (that’s my guess, of course, based on my own business). The later in the year, the more busy photography business becomes. Fall is the worst! Often you will have to work around the photographer’s busy schedule not the other way around. 4. The late morning or mid-day sessions have prettier results (Spring vs Summer). Knowing how hard it is to work around the schedule of my clients’ Little Ones, I am always available to do sessions in mid-day. Many photographers don’t do that because they do not work with mid-day light. (won’t go into the reasons, as each photographer has different). 5. Occasional rain means you have to be ready to be spontaneous with the date of your session. If you’re one of those people who have to have everything planned 2 months ahead, session in Spring might not be the best way to go. Since we’re still getting some rain now and then, scheduled dates are never certain. As much as doing sessions in the rain is adventurous and fun, I know that not everybody enjoys it as much as I do. Late April, the same location as the yellow mustard flowers!!! Now, most of the locations I’ve shown you in this post are secluded from public and crowds. I do like, and always highly recommend picking locations that don’t have anything that would distract kids (like the playground). If your goal is to have SUPER LIFESTYLE session with playtime documented, then the playground is definitely okey. As one of my clients pointed out to me when I told her about the idea of this post, I was able to find a lush, green location for her in July. However, this was a public park, and during our session, we had people with their kids approaching us to play with our bubbles until we had to tell them to stop doing it. So, this is why I try to avoid public parks as often as I can. With suburban homes and bathrooms and playground structures, it’s pretty hard to create a beautiful image without distracting things in the background. This is why I spend countless hours on locations scouting. This is why I carefully pick my locations I recommend to my clients. In my opinion best season for family pictures is Spring. As you might have noticed scrolling through the Spring locations provided in this post, the possibilities are amazing, colorful, and so vibrant. However, I know that each season has it’s own unique beauty. The important thing is to be aware of what you want and what you like. It is also very important to communicate to your photographer the vision you have for your session. During all the years of my work I’ve found out that people who clearly state what they want, what is their vision for the session are more likely to be very happy with what I create for them. The location is just gorgeous right now. Check it out here!! If you still don’t believe me, go to my FB and check out the last several sneak-peeks from my very recent sessions. It just couldn’t be any greener. The sessions right now, are simply stunning! FUN for the kids, because they can run barefoot! Roll in the grass. With the light being so gorgeous in Spring, it really doesn’t what time of the day you have your session done.